Everything Bagel Cheesy Bacon Pull Apart Bread is the perfect party food. 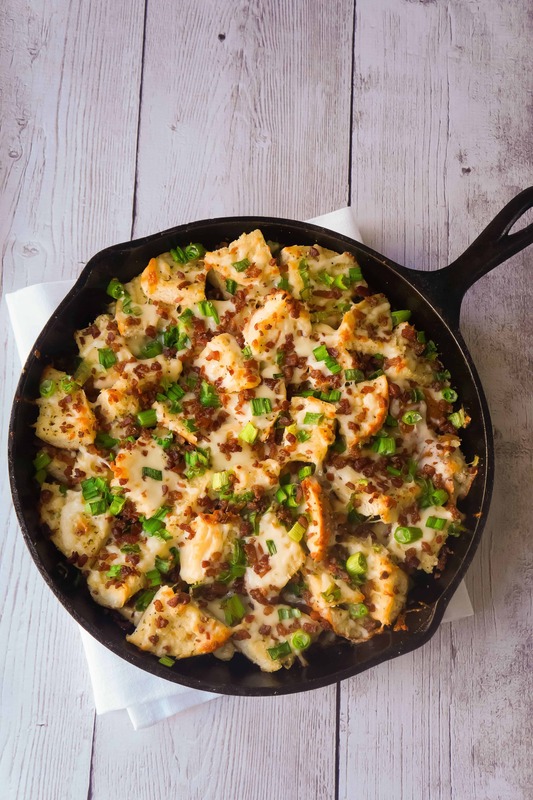 This cheesy garlic bread made with everything bagels and loaded with bacon is great for sharing. To make this pull apart garlic bread I started by spreading garlic margarine on to some everything bagels. Then I cut each bagel into twelve pieces. I placed about half of the bagel pieces in the bottom of a greased cast iron skillet. 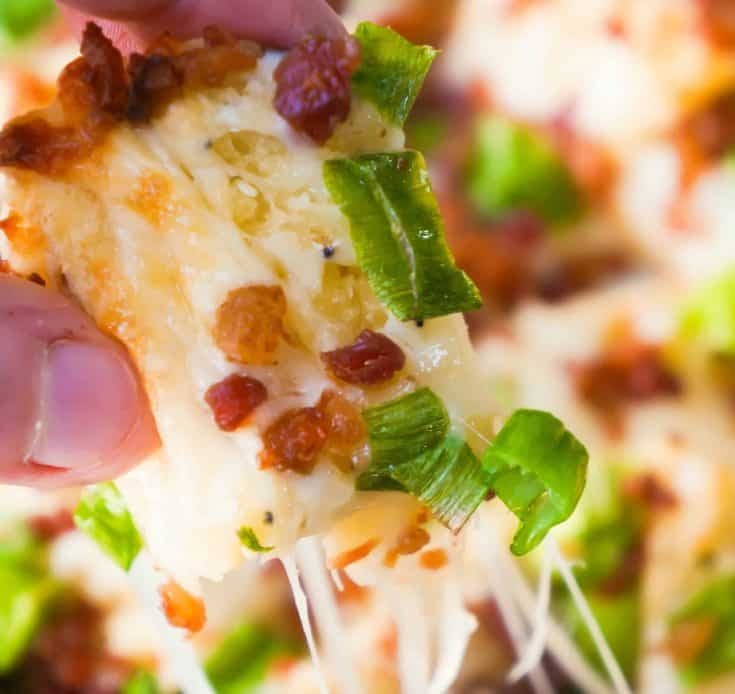 Then I sprinkled them with shredded mozzarella cheese, real bacon bits and green onions. I placed the remaining bagel pieces on top and then sprinkled them with the remaining cheese, bacon bits and onions. The cast iron skillet wast placed in the oven and dish was baked until the cheese was starting to brown. If you don’t have a cast iron skillet you could use a cake pan or glass baking dish. 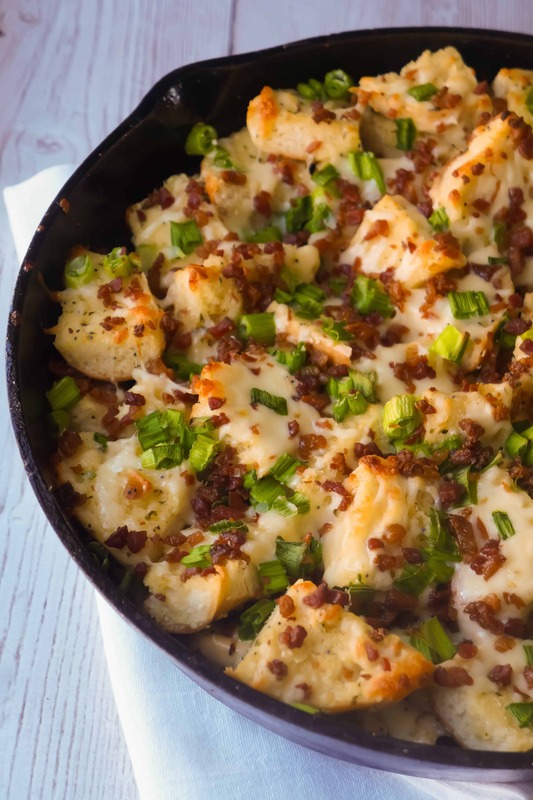 This delicious pull apart cheesy bread is the perfect appetizer to feed a crowd. If you like you could serve this dish with pizza sauce for dipping. Try this Everything Bagel Cheesy Bacon Pull Apart Bread the next time you are in need of a great party snack. If you are looking for more party food ideas check out Mini Waffle Maple Bacon Chicken Salad Sandwiches, Cream Cheese Bacon Chicken Tacos, Bacon Bruschetta Party Dip and Sweet Chili BBQ Chicken Sliders. 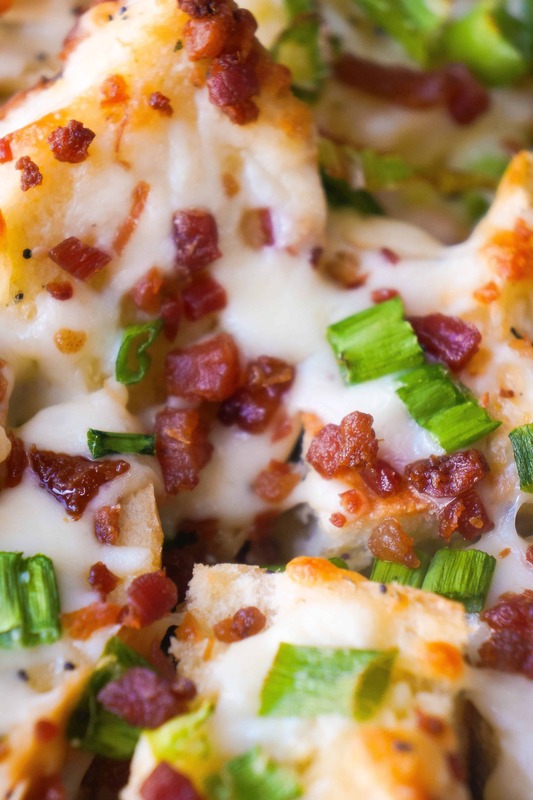 Everything Bagel Cheesy Bacon Pull Apart is the perfect party food. 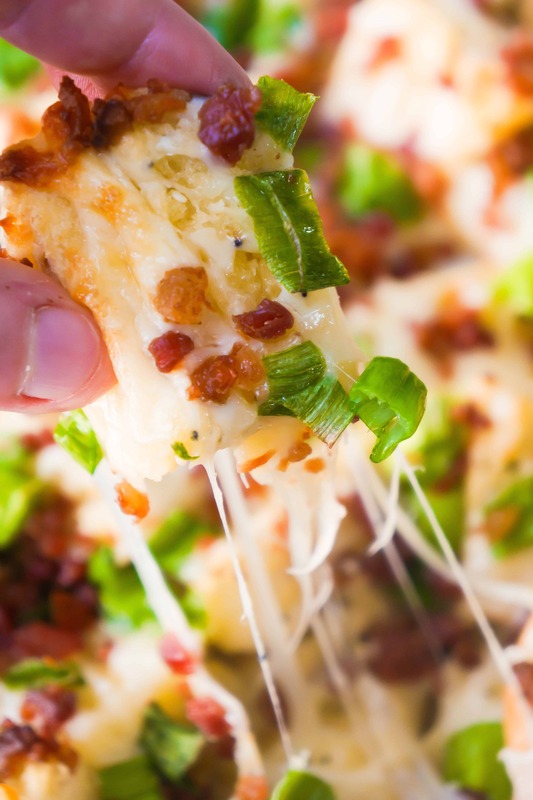 This cheesy garlic bread made with everything bagels and loaded with bacon is great for sharing. Slice the bagels in half if they did not come pre-sliced. 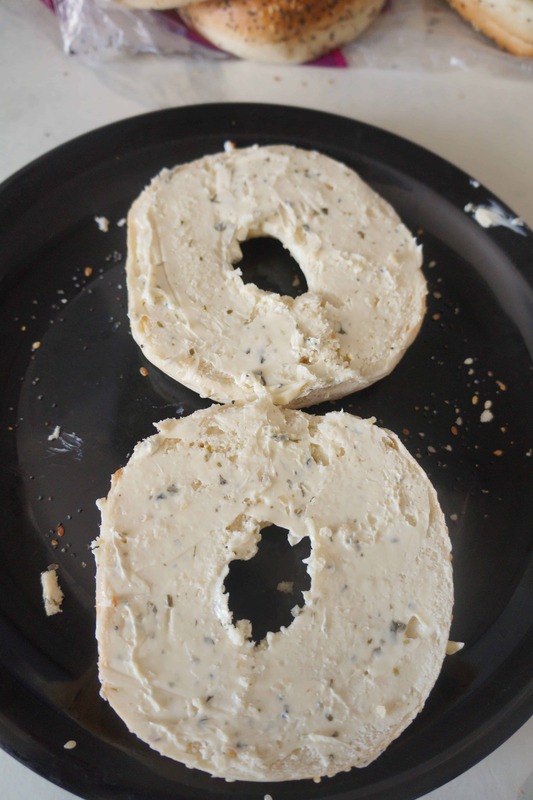 Spread the cuts sides of the bagels with the garlic margarine. Cut each bagel into 12 pieces. 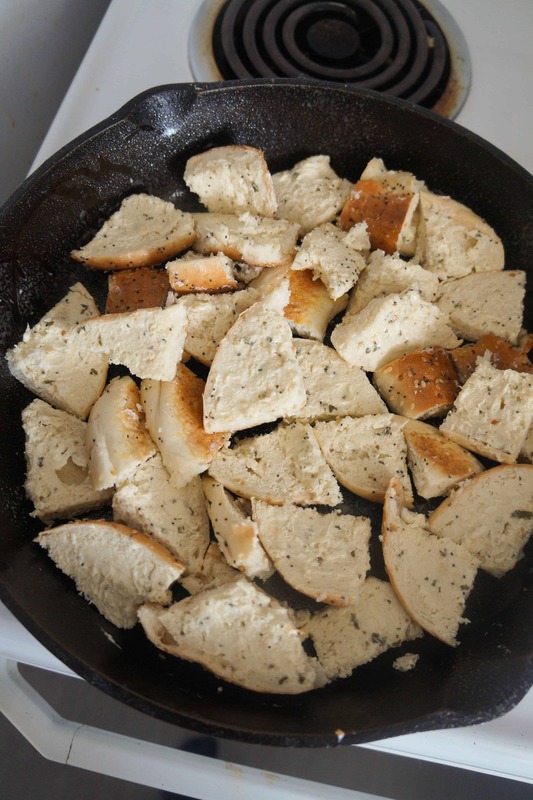 Place approximately half of the bagel pieces into the bottom of a greased cast iron skillet. You may need to use a little bit more than half of the bagels to cover the bottom of the pan. Sprinkle the bagel pieces with half of the shredded cheese, half of the bacon bits and half of the green onions. 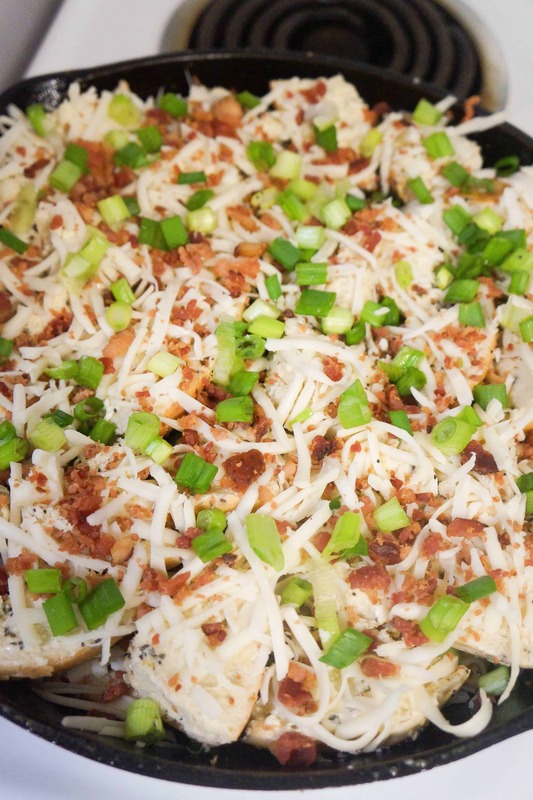 Place the remaining bagel pieces on top and then sprinkle them with the remaining cheese, bacon and green onions. Place the skillet in the oven and bake until the cheese is starting to brown. 20 - 22 minutes.